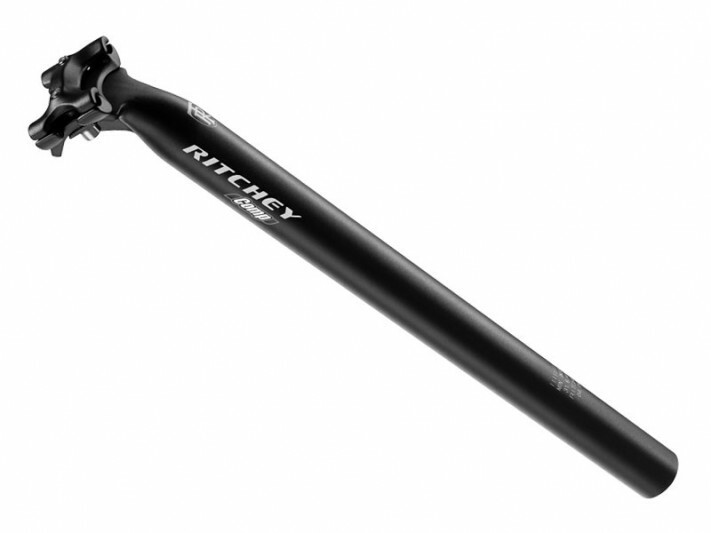 The Ritchey Comp Link seatpost is made of 3D-Net forged 7075 aluminum alloy. for super light weight. The two-bolt design and textured clamp surface allows for easy adjustment and a vise-like grip. The low profile saddle won’t bottom out on the saddle in rough terrain. Its wide saddle clamp reduces stress on lightweight saddle rails.